The face of general consumer reading has been digital for over two decades thanks to companies like Amazon and iBooks. Tablet readers are less expensive, more user-friendly, and podcasts are increasingly popular. Americans listen to 21 million hours of content every day. However, the higher education space has been slow to adopt similar technologies. Higher education faces myriad challenges when it comes to converting to digital. In particular, publishers worry that the potential cannibalization effect would hurt their hardcover sales, from which they traditionally earn most of their profits. Universities can be slow to adopt the digital technology because they simply lack a resource to do so efficiently. The university system is a multi-billion dollar business. It is becoming an advantage in the market to have digital content available for order on demand at an affordable price. I recently connected with one expert whose company RedShelf, is a liaison between publishers, universities, faculty and students to close the digital content creation gap. Greg Fenton, CEO and co-founder, says the future of higher education learning lies in digital options. You may think that someone has to lose out in automating content creation and updates (traditionally the student who has to buy the latest ‘updated version’) but by leveraging data and analytics, efficiency increases for all parties involved in content creation and distribution. Publishers are facing severe threats to their market and are at a point where they must become more innovative. And compete with the growing volume of online resources or risk getting left behind. One way to innovate is to go digital. The likelihood of digital books and being shared and resold is lessened. Because eTextbooks are more affordable and access can be restricted by the publisher. If publishers can avoid the resale market cutting into their bottom line. And also massively decrease their production costs, the transition to digital makes more sense. Professors work hard to structure a course syllabus that advances students through subject material and maximizes learning opportunities. But how much work do the students actually do? Apart from quiz grades and tests, most educators have very little indication of actual student effort. “Publishers and professors have never been able to see exactly how, how often, when and why students use textbooks. With digital textbooks you are able to gather usage data on the study tools used most often, reading habits, and the amount of time students spend studying,” says Fenton. The higher education system can cut costs dramatically while also appealing to the digitally-driven students they are looking to attract. Students enjoy the ease of eBooks for a multitude of reasons, the most common being the more attractive price point. Recent estimates suggest the cost of textbooks has risen 1,041 percent since 1977. The College Board estimates that the average student in this country spends around $1,200 a year on books and supplies. 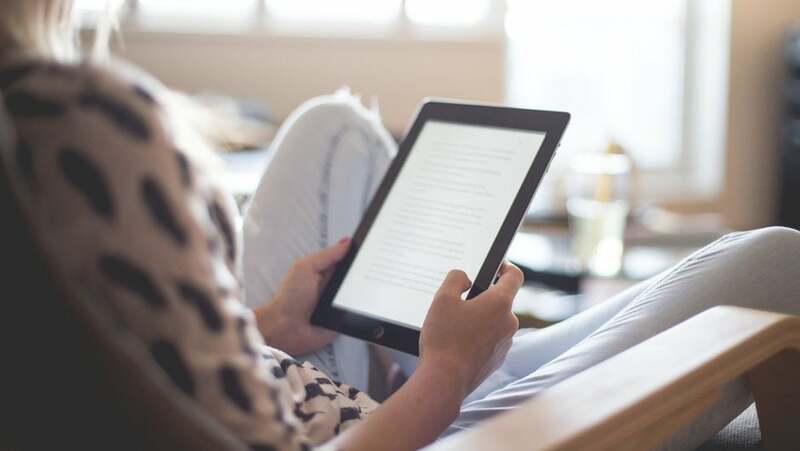 However, eTextbooks have no resale value and therefore the publishers can sell a digital rental at 60 percent to 80 percent less than a physical textbook. Digital content capabilities for college students using ebooks are numerous. Highlighting and comments, aggregated notes to create personalized study guides, flashcards, peer collaboration, and defining terms. While students benefit from the ease of use, teachers and publishers benefit from the analytics behind what content is being read. By offering professors and institutions access to real-time analytics that track student usage. Providing bookstores with custom bookstore-branded marketplaces to sell digital on campus. Services like RedShelf are able to culminate cohesive response strategies to content creation. There is also the element of mobility when it comes to free-flowing information. As younger students grow increasingly wireless in their education, their expectations for a digital transformation in ed tech are undeniable. For example, according to college students surveyed in a 2015 Pearson Student Mobile Device Study. Online content made learning more fun (79 percent) and helped them perform better (68 percent), and nearly half (40 percent) would like to use mobile technologies more often than they do now. We must be evolving to greet students with learning materials the way that they are groomed to understand.